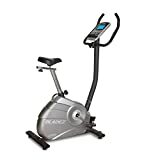 The Bladez Fitness U300 is an upright indoor cycle from Bladez Fitness. It is a new model, fresh on the market in 2014. It lists for $499.99 on Amazon, although it is currently on sale for $299.99. The bike weighs 57 pounds and is 39.4 inches long, 22 inches wide, and 55 inches tall when it ships. It has a blue LCD screen, an adjustable seat, and pre-loaded workouts. The frame warranty is lifetime, and parts, labor, and wear all have one-year warranties. It is clear from the feature set that Bladez is trying to aim this bike at the midrange market. That said, there are a few features that set the U300 apart from the pack in this market. In this review, I will take a look at the U300’s biggest draws and discuss whether it is worth the money. The U300 has a lot going for it. For the price, it has a good amount of features packed into the frame. We especially like the ease of moving the bike around. Lots of low or midrange bikes are bulky and annoying, but the U300 comes with a set of wheels on the bottom. On top of that, it just isn’t that heavy, and fully assembled it is also relatively small. Unlike other bikes, it is feasible to move it with just one person. It is a good idea to have help for moving anything this big up or down stairs, though. The blue LCD screen is fairly good quality for this range of price. The feedback that it can display is not too special- calories burned in current session, heart rate, revolutions per minute, speed, time, and watts- but the interface is refreshingly easy to use. It’s not uncommon for bike manufacturers to cheap out on the screen, even on expensive bikes, so it’s a point in Bladez Fitness’s favor that they did not succumb to this temptation. The preloaded workouts and intensities are very good for this price range. 23 workouts is quite a lot of variety for a bike without Google Maps integration, smart capability, or downloadable workouts. It’s enough variety to keep anyone interested. On top of that, the transition between intensity levels is seamless. The U300 uses electric controls for the workouts and intensities, and the machine flows smoothly between settings. Combined with the comfortable seat and the seat’s adjustability, the U300 has a quite pleasant riding experience. The pedals are nice and big, so it’s rare to slip off them. First of all, the fact that the bike is small means that its weight limit is also a little small. The biggest load it can bear is 250 pounds. That does exclude some of the market for this bike- it isn’t uncommon for athletes to reach that weight. The bike doesn’t need to be that light- most people won’t be moving it too often. Secondly, the U300 could do with a little more in the way of entertainment features. It wouldn’t cost that much more to add speakers or at least a convenient way to plug in a music player. Although it would bring the price up a little, the U300 is already fairly good value. Having a slightly better entertainment package for a slightly higher price would still be a good deal for an in-home cycle. 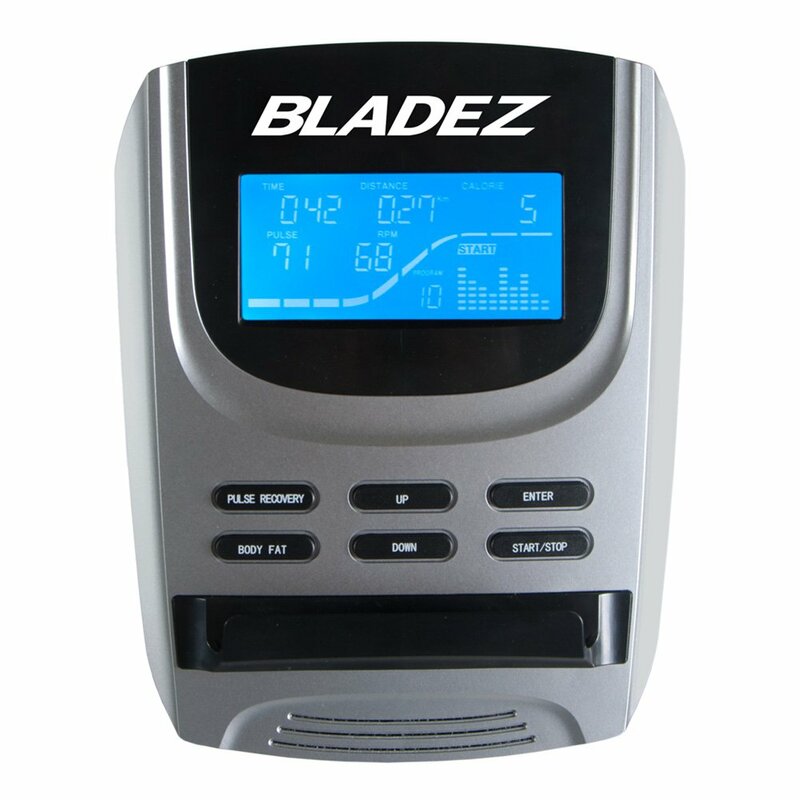 The U300 is a low to midrange indoor exercise bike for relative newcomer, Bladez Fitness. At the list price, it has good value at a commensurate price. For any kind of sale below MSRP, the U300 is great value. It might work best as a starter bike: it doesn’t have quite a rich enough feature set to attract an enthusiast, but the options out of the box are better than what most other bikes have at the same price. The best feature that really sets it apart is the depth of workouts and intensity levels. If you are on the fence about an in-home cycle, try out the U300. It is small, inexpensive, and has good build quality. If you decide that you want more out of a bike, your money was not wasted on the U300, because it opened the door to the world of indoor cycles. Someone looking for an experience similar to a road bike, or who wants an expensive, high end machine, should look elsewhere. For everyone else, the U300 is a great bike.